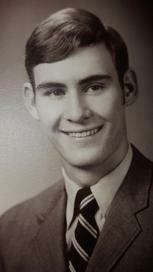 Ted Gregg added a photo to his profile gallery. Janet Weeth Weeth posted a message on Ted Gregg's Profile. Looking forward to seeing you both, Ted. Ted, would love to see you and Jayne at the Reunion. Ted Gregg posted a message. New comment added. Wishing you a Happy Birthday! I plan to be at the CHS 50th Reunion luncheon at the cafeteria on Saturday. I want to visit with you about raising longhorn cattle. I've got the longhorn fever. Ted Gregg updated his profile. View. Ted Gregg posted a message. Happy Birthday Denny! I look forward to seeing you at our CHS 50th Reunion! Happy Birthday Lamont! I hope you are well and enjoyed a birthday of fun and celebration. I spent your birthday visiting my daughter Amy in Tuscola, just south of Abilene. Best wishes for msny more happy birthdays. Ted Gregg has a birthday today. Cynthia .. Happy Birthday! I hope you celebrate today in a very special way. I hope to see you at the 50th Cooper Cougar reunion coming up in 2019! Ted Gregg added a comment on his Profile. Ted Gregg posted a message on David Hightower's Profile.